Can we use sounds to portrait someone? 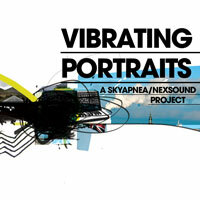 Can we paint using vibrating air to obtain a sound that represents something? What if sound could be used to design features belonging to other sensory spheres? Choosing a particular frequency could help to evocate a thin nose? A granular light? The fragrance of morning after a sunrise full of small rain? The taste of a coffee? All these questions were contained in a reflection about abstract music sent to nine sound artists and they were asked to start from those question marks to reflect about the possible uses of sound as a representative media. The result are some very different sound portraits, from the biggest eruption of history captured in the drones of italian composer Elio Martusciello(ReR Megacorp) to the processed field recordings of the Mimerlaven mine in Norberg by the Nottingham based Flotel(Expanding), from the free jazz tones of the audio picture of his father in law by Autistici(12k,Kikapu) to the micro rhythms constructed on sounds captured from a Lomo camera by Maps and Diagrams(PAUSE_2,Smallfish,Cactus Island). The other artists who answered this unusual call are Lawrence English (Room40,Quatermass,Baskaru,Cronica), Salvatore Borrelli aka (etre)(Baskaru), He Can Jog(audiobulb,hippocamp), Gregg Kowalsky aka Ossobuco (Kranky, Nosordo) and Motion (12k,Fat Cat) who all gently took part in this challenge.